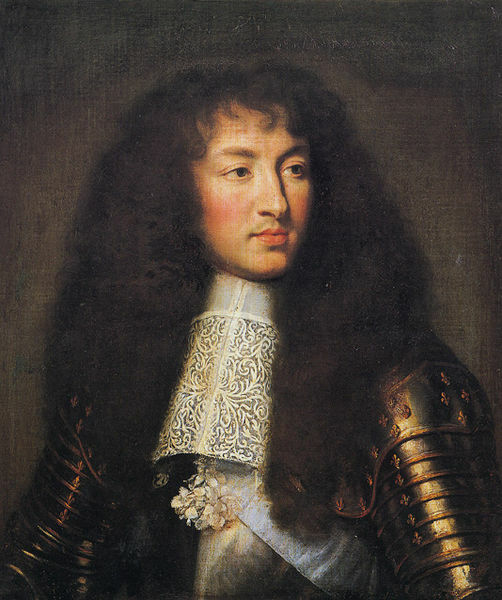 Louis XIV, known as the Sun King, was for 72 years the King of France. His reign became the longest in European history. During his reign France became the most influential cultural power in Europe, and his absolute rule brought under his control all the country’s wealth, aristocracy and clergy. At the same time, however, he encouraged slavery, let his people starve, bankrupted his treasury on showy displays and wars, and his aggressive policies alienated and isolated France from its traditional allies. 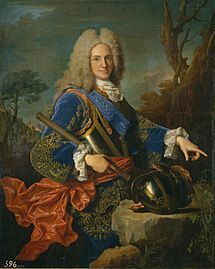 He knew that at some point, all things being equal, his grandson—who would eventually become Philip V (1683-1746)—would succeed him. For this reason, in 1698 he called to the Palace at Versailles a priest named François Fénelon (1651-1715) to become the Royal Tutor for his eventual successor, who had the title Duke of Anjou. A close relationship developed between the Royal Tutor and the young Duke, and it was evident that Fénelon was having a significant impact of the Duke’s learning and behaviour. 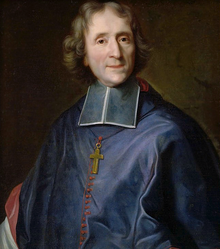 Fénelon, a Roman Catholic priest, who was also a poet and writer, did not approve of Louis’ style of governance. Rather than denounce the King’s policies outright, he decided to engage in a more subversive action and express reservations in an innocuous package. Since the typical materials used to teach young people of the day seemed ineffective, Fénelon decided to update the curriculum with his own versions. He recognized from his days in the pulpit, that stories were a powerful way to engage an audience. Searching around, he chose a favourite of the day—the story of Odysseus. Fénelon altered and highlighted the original story by Homer and called the new work Les Aventures de Télémaque (The Adventures of Telemachus Son of Ulysses). This new version pointed out the difference between how to run an empire the right and wrong way, and included an admonition to keep a workforce strong by not letting the workers starve. The newly revised version also focused on the folly of spending all one’s energies and money on wars based on vanity. The philosophy that he liberally sprinkled throughout this work was the importance of using restraint and wisdom in exercising power. Odysseus, through Fénelon’s voice, even proposed the then radical notion of educating girls. Fénelon succeeded with his teachings for a time; but then the King discovered what the Archbishop had been doing. Despite what many Royal Court observers had to say about the great improvements shown in the behavior of the spoiled and at times violent Duke of Anjou as a result of Fénelon’s tutoring, King Louis didn’t approve of the direction his grandson’s education had taken. He most certainly didn’t take well to the criticism of his policies and practices. The King banished his grandson’s Royal Tutor and mentor to the remotest part of the kingdom, and destroyed the curriculum materials. However, one copy of Fénelon’s book was saved and published. It became the most widely published book of the decade, and the ideas in it became the foundation for much of today’s thinking about the use of power; and, ironically, certainly hastened the French Revolution. Archbishop Fénelon, through his presence as a mentor and through the clever way he enabled the storied character to act as a mentor, has left us a Royal legacy that is often considered the origin of the term mentor. (For additional stories on how the use of the term mentor may have been originated, visit here. Cesária Évora (1941-2011) from Mindelo in the tiny Cape Verde islands of Senegal, and hailed as one of the most influential black voices in the world, is recognized as a mentor by several singers, including Fantcha, who was also born in Mindelo, Lura, also from Cape Verde, Mayra Andrade, the Cuban-born singer, and Sara Tavares, who was born in Lisbon. Cesária sang barefoot—becoming known as ‘The Barefoot Diva—and in a style called morna, a slow ballad, typically about love, sorrow and history. Her recorded music and live performances garnered an audience around the world, and captured the hearts of millions of fans with her catchy songs made for dancing or expressing laments, and singing the blues. Her own rise to fame and world recognition came after a considerable struggle to rise out of the poverty of her youth. She had a long history of health problems and had gone through several operations including open heart surgery in 2010. She returned to performing soon after her surgery, but in late 2011 while in Paris, her own mentor, Jose da Silva, a record producer, and her doctors noticed how weak she had become and told her she needed to give up her career and curtail her international travel. She had to cancel scheduled concerts in Armenia, Romania, France, Switzerland, and the U.K. The Cape Verdean government declared a national mourning for 48 hours after her death. She will be greatly missed and her legacy lives on in those she mentored.